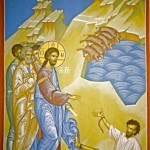 OCT 27: VESPERAL DIVINE LITURYG – 4:00 PM; OCT 28: TYPICA SERVICE – 10:00 AM; OCT 30: DIVINE LITURGY & CATECHISM – 11:00 AM; NOV 1: DIVINE LITURGY – 6:00 PM. 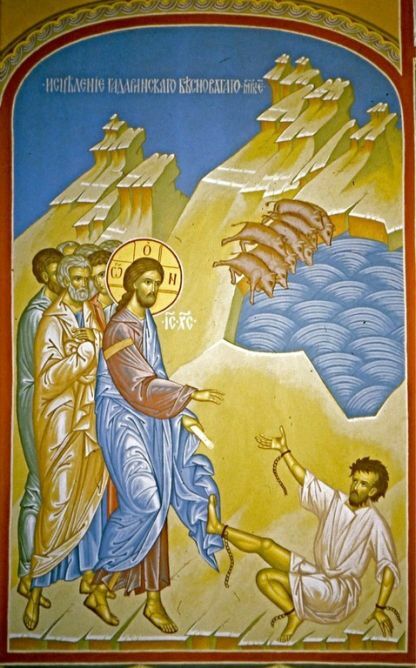 In Sunday’s Gospel, Luke 8: 26-39, Jesus Restores a Demon-Possessed Man. Jesus took pity on the man who was overtaken by a legion of evil spirits. The destructive force of these demons is evident for all who can see as they flee and destroy a herd of swine. After Jesus freed the demoniac the whole city came out to meet him. No one had demonstrated such power and authority against the forces of Satan as Jesus did. They feared Jesus as a result and begged him to leave them. Why would they not want Jesus to stay? Perhaps the price for such liberation from the power of evil and sin was more than they wanted to pay. The Lord Jesus is ready and willing to free us from anything that binds us and that keeps us from the love of God. Are you willing to part with anything that might keep you from his love and saving grace? Christ shows by casting out a legion of demons by His word alone that His heavenly power was appointed to deliver men from the slavery of the evil.